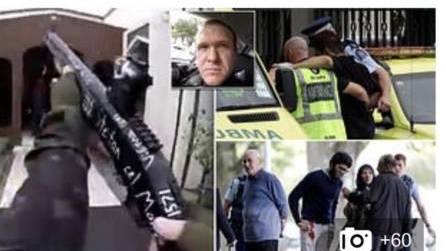 On Friday a crazed killer attacked two mosques in Christchurch, New Zealand and murdered 50 Muslim worshipers. The shooter left a 74-page manifesto and broadcast his mass murder live on Facebook. Media and political pundits immediately blamed Facebook and internet forums for the deranged mass killing. It took authorities less than 24 hours to shut down mobile access to 8chan and VOAT in New Zealand. New Zealand is a member of the “5 eyes” network. 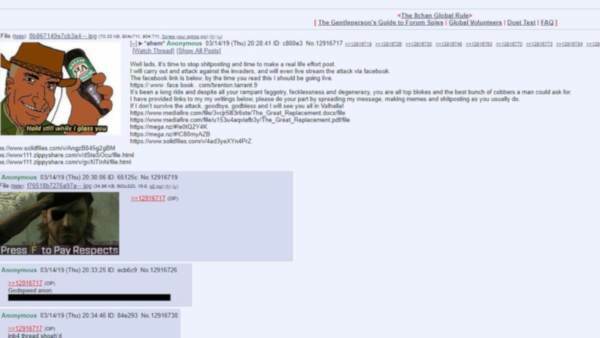 8chan and VOAT boards are main opposition sites to the Deep State and they know this. 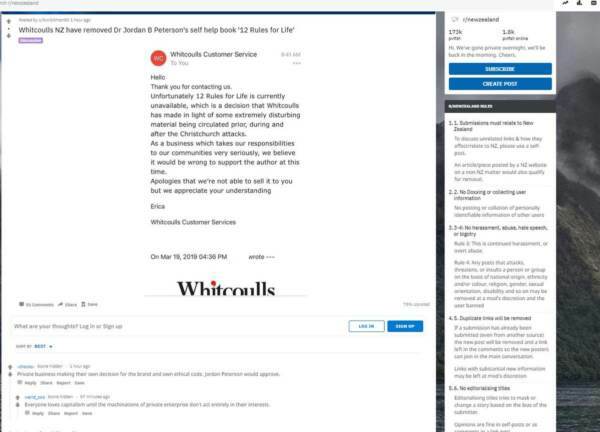 New Zealand officials requested personal information on any online user at the Kiwifarms website who discussed the shooter’s warped manifesto. And now New Zealand officials have banned Dr. Jordan Peterson’s self-help book “12 Rules for Life” for some reason. The book provides life advice through essays on abstract ethical principles, psychology, mythology, religion, and personal anecdotes. The post SHOCKING: New Zealand Bookstore Bans Jordan Peterson’s Self-Help Book “12 Rules for Life” Following Mosque Attack appeared first on The Gateway Pundit.